PhD Dissertation at the University of Illinois at Urbana-Champaign, completed December 2015. ​To be published as a book with Routledge, Taylor & Francis Group, August 2017. Vast sums of money spent to design, construct, and maintain museum additions demand great accountability of museum leaders and design professionals towards visitors and employees. Museum visitors today come not only to view works of art, but also to experience museum architecture itself, resulting in most major cities competing to build new museum additions or new museum buildings to become world class tourist destinations. State of the Art presents post-occupancy evaluations of four high-profile museums and their additions in the United States and helps museum stakeholders understand their successes, shortcomings, and how their designs affect both visitors and employees who use them every day. The research helps decision-makers assess the short-term and long-term impacts of future proposals for new museum additions and illuminates the critical importance of investing in employee work environments, and giving serious consideration to lighting, wayfinding, accessibility, and the effects of museum fatigue that arise from the lack of public amenities. Museum leaders, curators, architects, designers, consultants, patrons of the arts and museum visitors will find this study, soon to be published as a book, to be a useful resource when planning and evaluating new building additions. Their experience and perception of “front stage” areas (museum public spaces and exhibitions)? Their experience and perception of “back stage” areas (employee work spaces)? Its spatial layout and architectural features? How does the new building engage with the existing one? How the new museum building is perceived by critics, visitors, and museum staff? The industry: This research addresses the community of museum leaders, curators, architects, designers, consultants, patrons of the arts and museum visitors. They will find this study, soon to be published as a book, to be a useful resource when planning and evaluating new building additions. Key results: A study of employee work spaces revealed the inner workings of art institutions. The human aspect was found to be mostly ignored by decision-makers in the process of creating additions. Employee work conditions did not improve with new additions. They continued to work in or were moved to new spaces that were mostly windowless, without daylight and outside views, and very often located in basements. 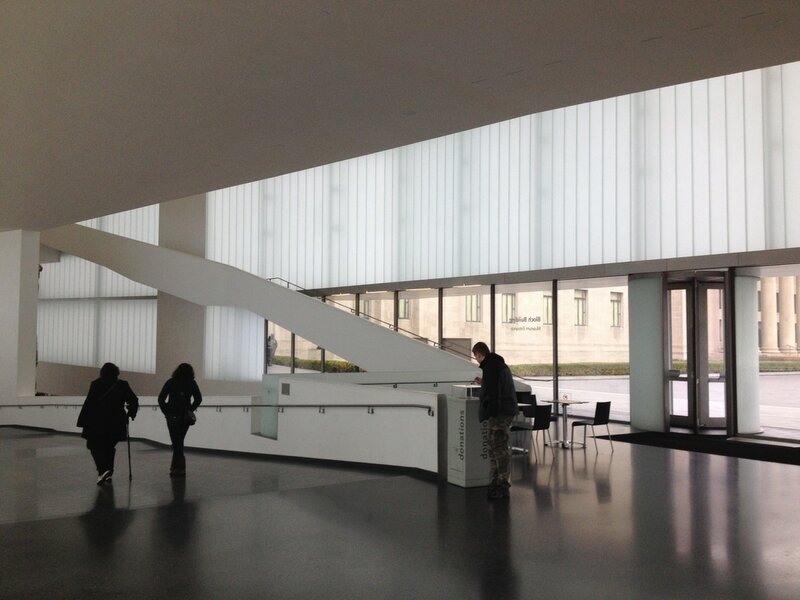 The front visitor spaces throughout the museum were beset with problems of accessibility, wayfinding, and connectivity—factors which also affected visitation. Besides blockbuster shows and special exhibitions, the syntactic typologies of art galleries in the Met and the Art Institute were found to have an influence on their visitation levels. Amenities such as restrooms, water fountains, and seating were inadequate, which also contributed to museum fatigue in occupants. 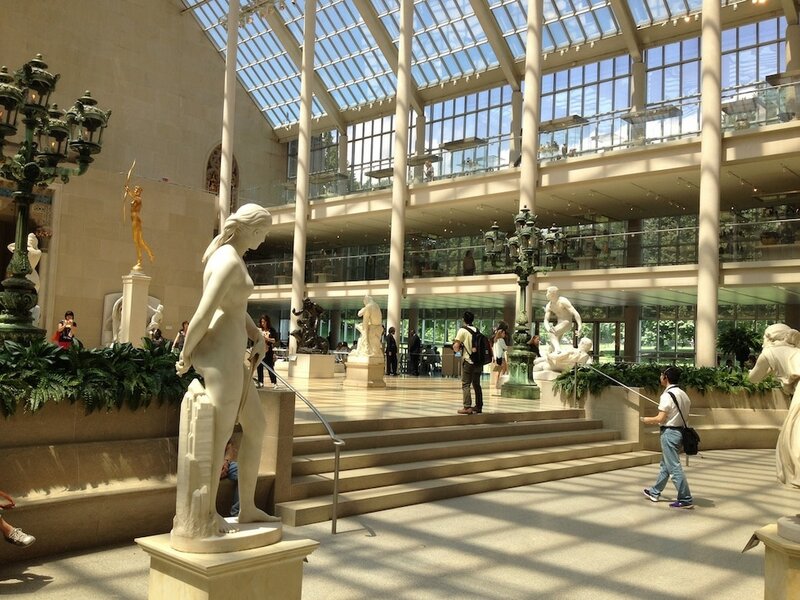 Light levels in art galleries were at optimum settings for art conservation, but many did not meet accessibility requirements for ambient lighting, reading text panels, directional signage, and looking at objects, creating safety concerns and denying equal opportunities. It was clear that occupants did not share equal status with the art in the museums. Impact of research findings on design or business strategies: Rather than attempting to be a how-to guide on museum additions, this study offers decision-makers a new approach along with some recommendations for the planning, design, and management of future museum expansion projects. These include accounting for upgrades to work spaces in the preliminary phases fund-raising and planning of museum expansions, conducting post-occupancy evaluations that includes employees, paying attention to environmental attributes such daylighting and outside views in work spaces and public areas of the museum, addressing accessibility, wayfinding, and connectivity concerns, giving serious considerations to the effects of museum fatigue, and striking a balance between people, art, and architecture. What is the verdict on museum additions? Are they good or bad for the museum? The success of an addition depends on the overall museum size, and its collection, management, organization, and design strategies. Research conducted in the Metropolitan Museum of Art and the Art Institute revealed, however, that both these museums, measuring approximately two million square feet and one million square feet in floor area respectively, may have become simply too big in size to fix problems related to spatial configuration and user experience. Museums after a certain point, would be well-advised to build separate structure instead of continuing to tack on new physical wings to the existing building. The Nelson-Atkins and Phoenix Art Museums, by contrast, were two smaller museums that had similar problems, but ones that may be fixed via future architectural modifications and upgrades. Does the admission ticket should represent good value for money for visitors? This should be a question that museums must keep asking themselves as they continue to change. Wayfinding problems and the lack of adequate amenities such as seating can be just as upsetting for the visitor, as a gallery with a famous work of art that is temporarily closed. All new additions to museums bring with them, new opportunities for people which should not be wasted and museums must work harder to make occupants comfortable and satisfied. This research highlights the need for more studies on the built environment of a similar nature. Such studies unfortunately struggle for funding, because, as Dr. Bermudez, an expert on the relationship on neuroscience and architecture, said, “it’s difficult to suggest that people are dying from it.” (Von Hoffman, 2014, p.1). My hope is that this study on the basis of its significance, need, and findings, provides impetus to create more funding for future environmental behavior research.